Before the start of 2019 Google and Bing made a lot of updates to their ads that allowed them to be longer and show more content. These updates are advantageous to advertisers, who should definitely utilize them as they work favorably to take up more real estate on the search engine results page. These kinds of ads also help with ad click through rate and quality score. Below are some of the updates search engines made to their ads at the end of the year. A few weeks after Google made the updates to their ads, Bing followed suit. This helped advertisers not need a second set of ads between the two search engines. It also allowed advertisers to import the new ads they made in Google directly into the Bing engine. There hasn’t been any official news on these updates yet from Google, but it is something I have been keeping an eye on. If you create a new call-only ad in the editor and engine it now allows you to have headlines one and two consisting of 35 characters and a description line one and two consisting of 90 characters. This is a massive update from the previous ads that only allowed for a description line one and two consisting of 35 characters. These new ads will be shown just like normal responsive search ads but they allow up to 15 headlines and four description lines that the engine will test and rotate out depending on results. Some of the benefits of these ads are that an advertiser can create flexible ads, save time, reach more potential customers, and increase ad group performance. RSAs also allow you to pin headlines and descriptions to certain locations depending on where you want them to show. Google has also been working on an “ad strength” calculator that gives advertisers suggestions based on their current ad. The calculator analyzes how many headlines and descriptions you’re using as well as how unique they are. 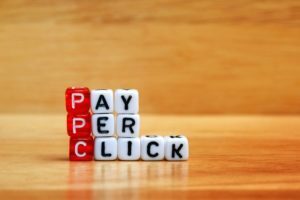 With all the new ads that Google and Bing are releasing, ad copy testing is going to be critical in 2019. Quality scores and click through rates should increase due to increased ad length as well as the flexibility in content writing. Shawn Hanak is a PPC Team Lead for ChoiceLocal who specializes in Google Ads, Bing Ads, and Facebook advertising. Shawn helps clients by reaching out to new customers and new employees alike. When he’s away from the marketing world he enjoys hiking, board games, and Cleveland sports.